Ahmad Alamolhoda, custodian of the holy shrine in the Iranian city of Mashhad, may have been referring to unsubstantiated Saudi reports from last week claiming Tehran successfully hacked phones belonging to Netanyahu’s family members. 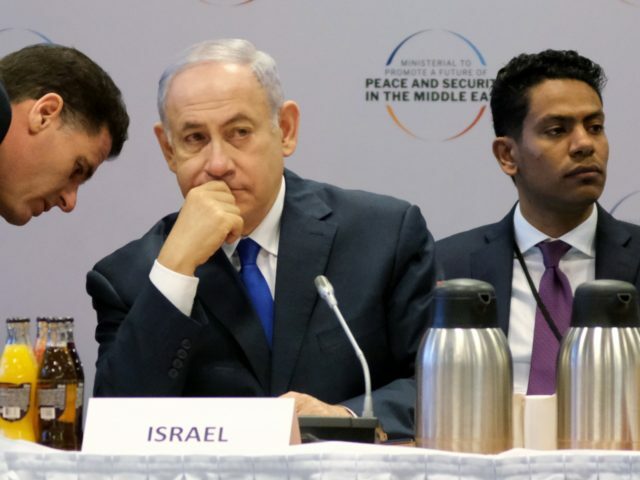 Israel’s Shin Bet national security agency denied the Saudi report. “In the past few days, Iran’s cyber-attacks have resulted in hacking the mobile telephone of a candidate in Israeli elections and access to all the information,” the report quoted Alamolhoda as saying. Saudi-based news site Independent Arabic first published a report claiming that Netanyahu’s wife and son, Sara and Yair, had had their telephones tapped a few months ago. Besides the Shin Bet denial, the Prime Minister’s Office also rejected the report. The Saudi report did not say what information, if any, was leaked to Iran. The Jerusalem Post, citing Independent Arabic news, said that the alleged Netanyahu phone hack was connected to the alleged phone hacking of Blue and White Party leader and former IDF chief of staff Benny Gantz. News that Gantz’s phone was hacked by Iran was confirmed by Israeli officials, however they said no sensitive state information was on the phone. Gantz’s number two, Yesh Atid leader Yair Lapid, charged Netanyahu with “spinning” the phone hack incident as a ploy to divert the public’s attention from the corruption allegations against him and criticism over his actions regarding Gaza. Netanyahu “lies when he breathes,” said Lapid. For its part, Iran’s foreign ministry flatly denied the Gantz phone hack report. Qasemi added that the allegations were part of Israel’s “psychological war” against Iran.